This may seem silly to bring up, but there is a point concerning a specific “spiritual gift” (which is really not a spiritual gift) that many not only claim they have, but they also misapply! 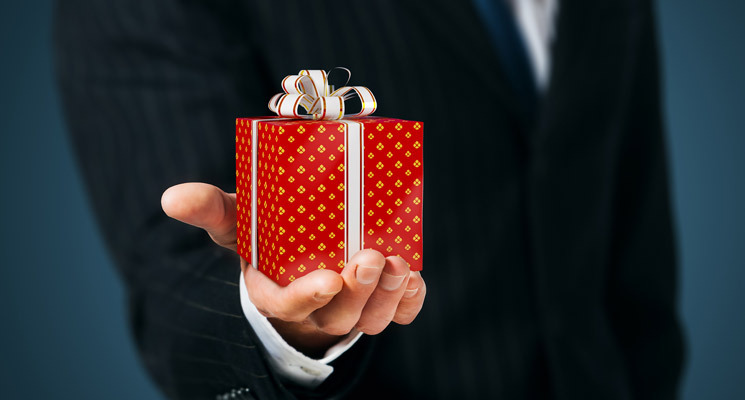 It is not only a phantom gift, but it’s supposed application is misdirected. I have searched far and wide for this gift for many years. At this point, it is safe to assume that it is at the end of a theological rainbow. And the only ones that find it are those that are taught that it exists. What is it? Nothing but the “gift” of hospitality. Let’s begin on where they get this idea comes from. 1 Peter 4:9 says we are to show one another hospitality without grumbling. Sounds pretty straight forward. The grammatical construction implies, though, that it is following from the commands in verse 7. That means amongst other things like being watchful and sober in our prayers, and having fervent love for one another, we are to be hospitable to one another without complaining. Once again, pretty straight forward. But where someone infers from this verse that God endows us with a spiritual gift in order to be gifted in hospitality is confusing. I can see how maybe some make the mistake of reading verse 10 into verse 9 since it mentions “gifts,” but nevertheless cannot see how they can be confident about their conclusion. The list of gifts in Peter starts in verse 10, not 9. But there’s more. Romans 12 has a similar situation. This is another popular passage cited to didactically reveal spiritual gifts. In Romans 12:6, the apostle Paul explicitly mentions “gifts differing according to the grace that has been given to us.” However, that list terminates at verse 8. Once again, the construction is in such a way that verse 9 begins a new didactic exhortation, and verse 13 is where we see hospitality cited. In context, along with Peter, we must understand that this is not referencing some special ability that the Holy Spirit gives us. In some indirect sense, once we are born again, God gives us a new heart for fellowship with believers and a love for evangelism that causes us to love the unsaved. But that is not what the “gift of hospitality” teachers assume. The believer of the hospitality gift must understand that the exhortations to use gifts differing according to grace terminates at verse 8. Then, verse 9 begins a separate set of exhortations. So why harp on this? Why pluck this string? Two reasons: excuses and exegesis. One the one hand, there is always someone that will misapply a verse, gift, theology, etc., to their advantage in order excuse their responsibilities (or sin) in other areas of their Christian life. For example, they won’t evangelize because their gift is to open up their home (hospitality) to bible study. While that is good and necessary at times, this is not a substitute for any discpline the Christian is called to. And, hospitality in the Bible has more application toward persecuted and traveling believers whom have been banished from their homes, or are on evangelistic journeys. Sure opening your home is hospitable, and can be a fulfillment of Scriptural hospitality depending on the situation. But we must remember that is still not a spiritual gift. On the other hand, basic exegesis concerning how words and theological concepts are used in their context cannot be stressed enough. The main point I’m trying to make here is that while this phantom gift is microscopic in the grand scale of heretical dogma being preached in the world, a misapplication or misunderstanding like this has avoidable consequences on a your thinking and behavior. If this simple thing cannot be grasped, exegeted, and applied correctly, what can be said of our attitude toward the basics of the gospel, or even biblical discernment? I’m not trying to make a mountain out of a mole hill, but there is something to be said about such a loose approach to Scripture. Of course, this is not a new problem, but I’m attempting to use this phantom gift to shed light on an age-old issue. The issue being the lack discernment for practical thelogy. And it is my hope that we continue to discern from where our othropraxy flows. This entry was posted in Preaching, Random Selections, Theology and tagged biblical theology, excuses, Exegesis, Hospitality, phantom, Spiritual Gifts. Bookmark the permalink. I appreciate this article. I am not one of those who might think that you’re “harping”. You bring up a very good point(s). Misuse of Scripture is obviously major and common. Making excuses for not doing what God tells us all to do “because it’s not my gift” is common. I am teaching 1 & 2 Peter now and will have to address this issue in a couple weeks so this is timely. I’ve also taught recently on “Careful Reading of Scripture”. I find that not carefully reading Scripture is common also. This touches on what you’re saying. If we read carefully, we can see what you’re saying. If we read carefully, we can also see that there are no “streets of gold” in heaven, even though my favorite hymn (Victory in Jesus) states so as well as so many other songs, poems, etc. There is one street and it’s in the new city. Despite all the paintings we see, neither will we find a lion laying down with a lamb (it’s a wolf in Isaiah) and the women’s curse is not “pain in child birth” but “greatly increased” pain. How much pain would she have experienced if there was no fall of man? Who knows. I sound like I’m harping as well and even nit-picking. But my point is this: if we don’t read Scripture carefully in one area, then we’re most likely not reading carefully in other areas. And this can affect our theology, our relationship with others and our relationship with Christ. Thank you for your thoughts. I always enjoy them. Thank you Dennis for your thoughts and for following DefCon. God bless you brother.